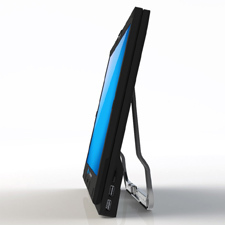 The Field Monitor Pro and Monitor2Go are the world’s first clamshell portable monitors. 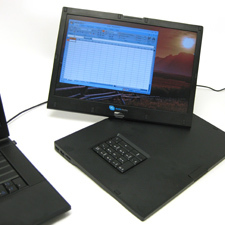 They use DisplayLink’s USB graphics technology to give a laptop, work computer, or home computer an immediate secondary display through a simple USB connection. Primary features for both systems include a 15.4-inch color LCD flat panel (1280 x 800 maximum resolution), two USB 2.0 ports for external peripherals, and adjustable physical configurations. 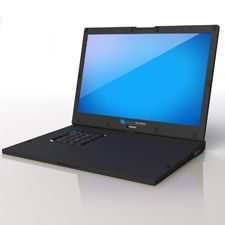 The Field Monitor Pro also contains a built-in numeric keypad for efficient data entry. Conceived and sold by Mobile Monitor Technologies. Grand Idea Studio provided the entire electrical design.